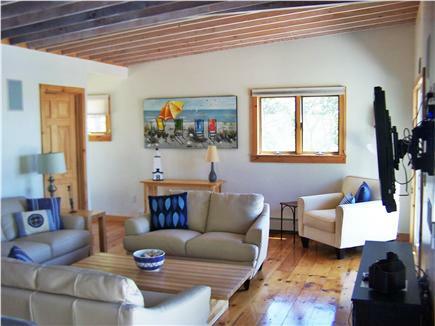 Surrounded by one mile of sandy beach, this home commands a 360 degree view of Lieutenant Island and the surrounding bay. 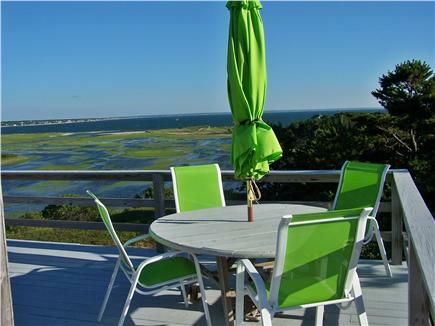 Accessible over a quaint bridge, this tidal island is reminiscent of ''Old Cape Cod'', with its sandy roads, privacy, warm water swimming, kayaking and beachcombing. 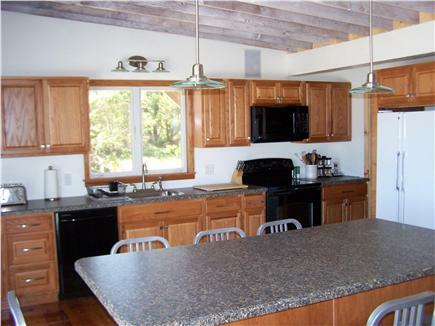 Newly renovated, the home is very clean and comfortable with decks on both lower and upper levels. 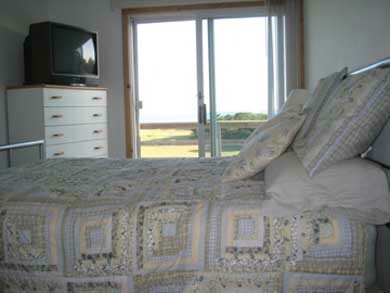 It's a ten to fifteen minute walk to either of two bay beaches. 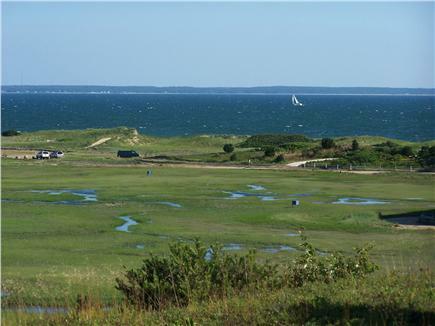 If you must leave the island, a fifteen minute drive brings you to the oceanside beaches of Wellfleet with waves suitable for boogie boarding or surfing. Downtown Wellfleet, the Art Gallery Center of Cape Cod, is an historic village filled with galleries, eclectic shops and it is the perfect place for a quick bite to eat on your way to the town pier. Additional pricing info: 10% discount off stated rates for multiple week rental, State and local taxes of 12.45% will apply. 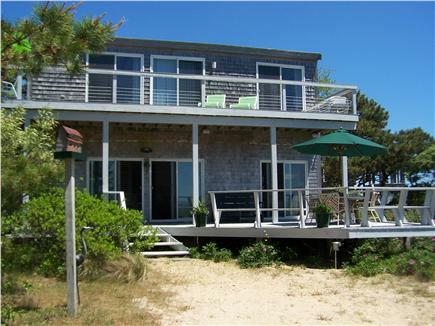 We had a great vacation at the Cape and much of it had to do with this fabulous cottage we stayed at. We really enjoyed the cottage. It became a home very quickly. The view was incredibly beautiful. 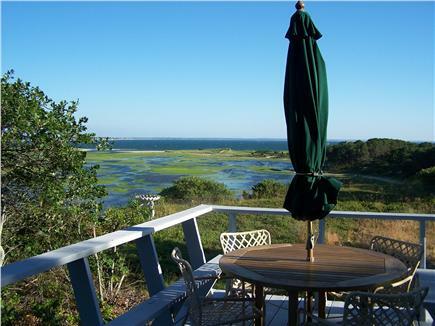 Every day we took time to just sit and look at the beautiful marsh, beach and bay. The last night we were there was the night of the 'blood moon.' We sat on the upper deck and were transfixed by the beauty. We so enjoyed our stay at this uniquely situated home. Our group consisted of 4 adults and 3 small children with additional family joining us for a couple of days. 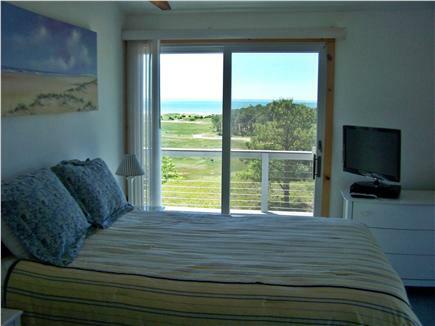 The open floor plan is most accommodating, the decks and views are spectacular, bedrooms & beds welcoming and comfortable. With three available showers (2 in and 1 outdoors) a quick shower at the end of the day was a snap. The quiet location and surrounding natural setting were just what we needed. The beach is within walking distance. I recommend a beach cart for the trek. However, with small grandchildren, we mostly opted to drive down. 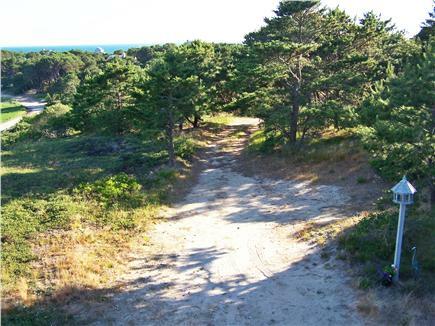 For the most part, roadways are narrow and unpaved contributing to the slower and more mellow feel to staying on Lt. Island. The nearly constant breeze, mostly, kept the horse (green head) flies and mosquitoes at bay and kept the home cool and comfortable. The island's beach at the end of the road is perfect for small children. The tidal pools and natural lazy river are crystal clear. Our one minor draw back was the inability to put a sailboat in anywhere on the island. Heading to the marina in Welfleet solved that problem. There is wifi available in the house, but if renters are relying on its availability, they may be disappointed. During our stay, wifi was very sporadic, so visitors should anticipate using data from their cell plans during their stay. We met Jim, the homeowner, on our arrival and departure. The owners are friendly and easy to work with, answering my questions quickly prior to our stay. I hope to stay in this home again in the future. Many thanks for your kind words, Sandi and Ray. 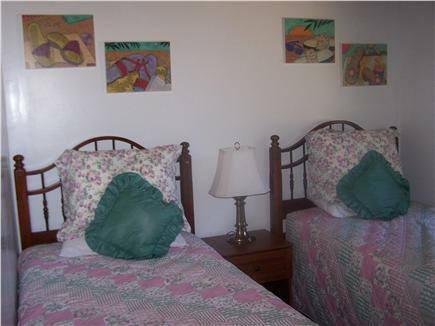 We very much appreciate them and are certainly pleased that you enjoyed the peace and tranquility of Lieutenant Island and the comfort of our Skaket Cottage as much as we do. Thanks again for leaving the house so clean and orderly. 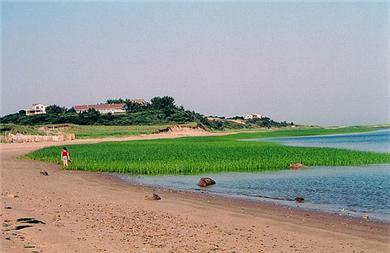 We would certainly welcome your return in future summers, should your plans include another vacation in Wellfleet. We have spent three or four weeks at this property for the past three summers, and are hoping to continue this tradition. 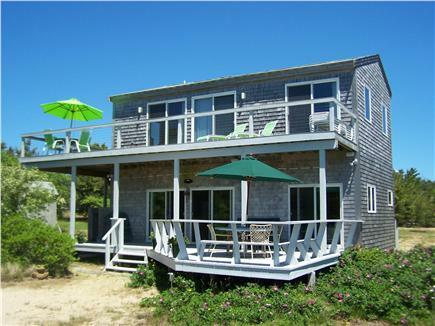 My wife and I have rented houses in the Wellfleet area during the early summer for most the past 20 years, and before that, visited houses that my parents had rented. This is one of our two favourites of the total of at least 15 houses we have stayed at. Thanks very much for your kind words, Peter & Janet! We had a great week at this house. 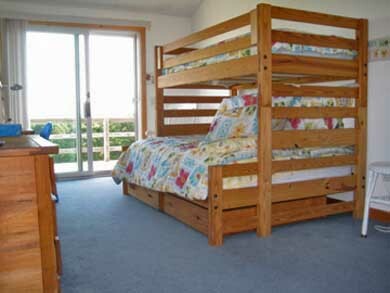 The bedrooms were comfortable, the kitchen was well equipped with pots and pans and all the little things you need to bbq or have a seafood feast. We spent a lot of time at the beach, but several afternoons floating in the bay and a LOT of time at the deck watching the tide come in and having cocktails. A great place for a family or a group of friends! Thanks for your kind words, Elissa. We're certainly very glad that you enjoyed your stay.